Mummy bags, with their wider cut shoulders and narrow feet are the most efficient when it comes to weight and warmth. These bags conform more closely to your shape and only require minimal body heat to warm up. They encase you ‘like a mummy’ and may be restrictive and less roomy than other bags. Semi-Rectangular bags with their tapered foot (more room than the Mummy) and contoured hood are a good compromise. These bags provide ample sleeping space at the torso for comfort. Rectangular types offer more space and are cooler than others, letting you move easily within the bag. Because of the larger top opening, heat can escape more easily. 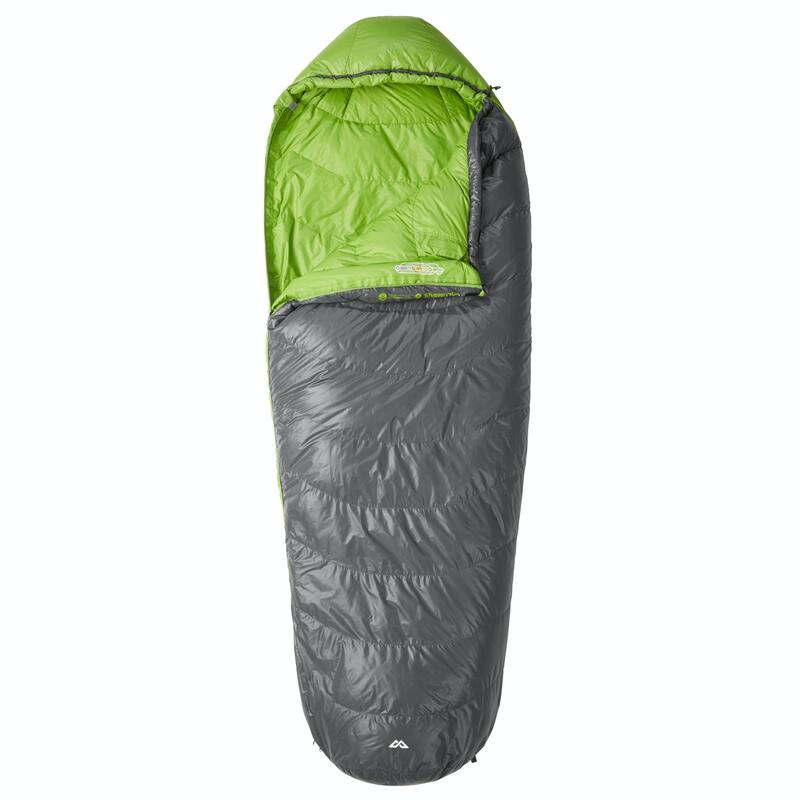 The Columbus Sleeping Bag is one of our best-selling, probably because it’s so adaptable. The down fill has a great warmth to weight ratio – perfect for backpackers, campers and hikers in moderate climates. The lightweight properties of down make it extremely compressible while retaining its natural warmth and insulation. Part of our pack&GO solution.